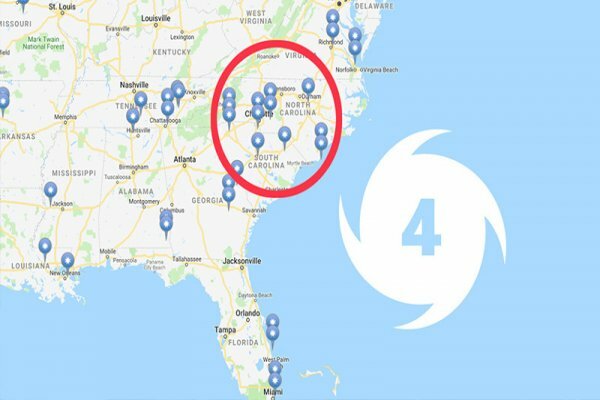 RED ALERT: There’s something very wrong with Hurricane Florence! Will Deep State perps and geoengineers attempt to fabricate another Fukushima scenario? TMR Editor’s Note: The Millennium Report staff has been monitoring the evolution of Hurricane Florence very closely from day one. We have been especially watching the media hyping of this fictionalized superstorm. Even the Alt Media has been hyping this threat. For example: HURRICANE FLORENCE TO TERRORIZE AMERICA! There has never quite been such a steady buildup of sensationalizing of every aspect of Flo’s development into a superstorm for past hurricanes. As a matter of meteorological fact, compared to last year’s apocalyptic hurricane season, this year has been relatively quiet. What really grabbed our attention this week was the extraordinary media attention directed at the number of nuclear power plants that exist in the path of Hurricane Florence. As if hurricanes have ever had a big impact on nuclear power generating stations in the past. That’s not to say a 500 year flood cannot pose some very serious predicaments. KEY POINT: It’s true that storm waters can accumulate so quickly and deeply that cooling operations for nuclear power plants can be threatened, but this remote possibility has always been the case so why are all the alarms sounding off this time. See photo below. 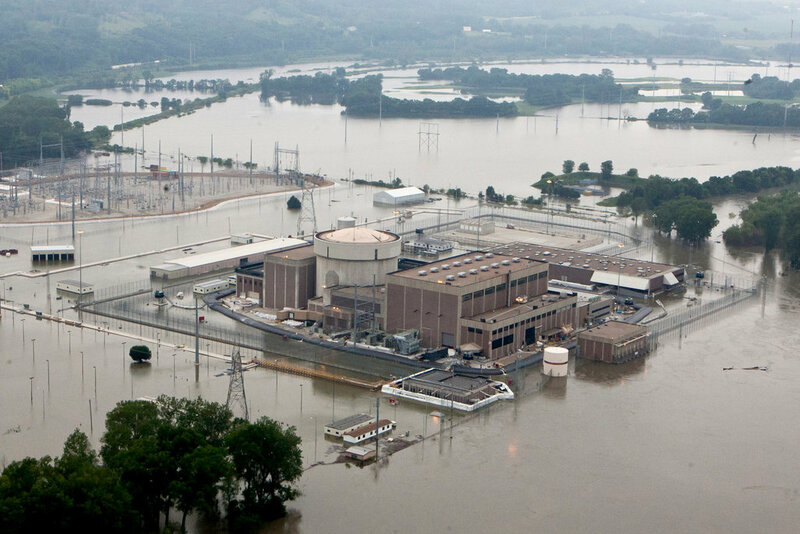 Flood waters surround the Fort Calhoun nuclear power plant in Nebraska. While we do believe it’s extremely important to reveal just how vulnerable a nuclear plant can be in the aftermath of a major rain dumper, that’s not what the mainstream media seems to be doing. Again, the Alt Media is curiously also doing its part: Fukushima in America? We sincerely hope that we are wrong, but could there be a covert plot afoot to trigger a nuclear disaster in the wake of catastrophic flooding as Flo moves through the Carolinas? It’s very important to note that, after Fukushima, the worst nuclear catastrophe in history — the CHERNOBYL Nuclear Disaster — was also triggered by the very same perps. Lastly, TMR is always concerned when simulation drills are run anywhere in America. They seem to uncannily precede so many false flag operations and attacks, some of which are executed as hoaxes. Hence, we really wonder why FEMA Just Ran a Simulation of a CAT 4 Hitting the Middle East Coast (Video). KEY POINT: That 9/11 came and went this year without a hitch often means that the perps are probably plotting something BIG now that everyone’s guard is down. SOTN has written extensively about just what may be in store for this September: The October SURPRISE of 2018 to be Preceded by a September SHOCK & AWE! N.B. What follows is another take on this serious matter. The plot thickens, however, in the account below with malicious computer worms such as Stuxnet attacking a nuclear facility. Please disseminate this RED ALERT far and wide just in case. THE FALSE FLAG EVERYONE HAS BEEN WAITING FOR MAY BE APPROACHING THE EAST COAST NOW. HOW ABOUT A VERY OVER-RATED HURRICANE PROVIDING COVER FOR A STUXNET TYPE OF ATTACK ON A NUCLEAR FACILITY? THOSE WHO WORKED HARD TO WRECK THE FUKUSHIMA REPORT BY FALSELY UNDERMINING MY CREDIBILITY WILL BE AMONG THOSE RESPONSIBLE FOR A DISASTER ON AMERICAN SOIL IF THIS HURRICANE ENDS UP BEING WHAT THEY USE TO PROVIDE COVER FOR WIPING OUT A NUKE FACILITY IN AMERICA. The people who hate this website, which was the main whistleblower against Stuxnet type attacks on nuclear facilities, may have their dream approaching the East Coast, this totally fake over rated hurricane may all be a setup to justify making much of the United States uninhabitable. What would derail the Trump Train worse than having a nuke plant explode during a hurricane, only to have the hurricane drag all that radiation deep into the United States? People without “merit” will have played a key role in it if anything of the sort happens. People without “merit” obviously want it. If they are going to cause a disaster in the middle of a hurricane, they HAVE TO prep the nuke facility with a hack beforehand, they HAVE TO pre-heat the reactors ahead of time because a hurricane does not last long enough for the whole process to carry out on time for the hurricane to carry the radiation inland. HEADS UP AT ALL NUKE FACILITIES: IF YOU HEAR NOISES AND SEE BEHAVIORS THAT ARE DIFFERENT EVEN THOUGH ALL THE CONTROLS READ NORMAL, EVEN BEFORE THE HURRICANE ARRIVES, YOU ARE UNDER ATTACK AND HAVE TO SOLVE THE PROBLEM BEFORE YOUR NUKE FACILITY GOES “FUKUSHIMA”. My warning to the nuclear facilities IS LEGIT, and I absolutely do have the background to anchor it. Much of that background came AFTER the NSA. The Fukushima report really was endorsed by one of the engineers that designed reactor 3; I had the connections to get that done. Even if a Cat 5 pounded a nuke facility, or an F-5 tornado trashed a nuclear facility, nothing would happen. Nothing should have happened at Fukushima either, ABSENT STUXNET. So I am forecasting a 50 percent probability of a category 5 SCADA storm at an American nuclear facility. People there need to be ready and aware of any attacks on their systems by Israel, the only nation with a history of doing it. Their bug was actually tested at Fukushima clone Browns Ferry a couple years before Fukushima. Browns Ferry is not in the path of Florence but several nuke plants are. If one or more of those nuke plants goes up, it will be caused by the Deep State and nothing else. Maybe common core types don’t realize that worst case weather scenarios were planned for in all of the nuclear facilities, and maybe they will drink the kool-aid. I sure won’t. HEADS UP TO ALL REACTOR ENGINEERS: IF ANYTHING SOUNDS DIFFERENT AND THE CONTROLS READ NORMAL, IT IS NOT THE HURRICANE, YOU ARE UNDER ATTACK. It would be best to station people at all emergency release valves and to have at least basic back up pumps that are not connected to any form of digital control, as well as manual switch gear ready.